Not sure what to get mom for Mother’s Day? Don’t worry—we’ve got your back with five off-the-beaten-path Mother’s Day gift ideas! But before we get into the Mother’s Day gift inspiration, just a heads up: we’re focusing on giving memorable experiences rather than things. It’s all about that priceless quality time spent between mother and child. So without further ado, let’s get mama ready for a hike! 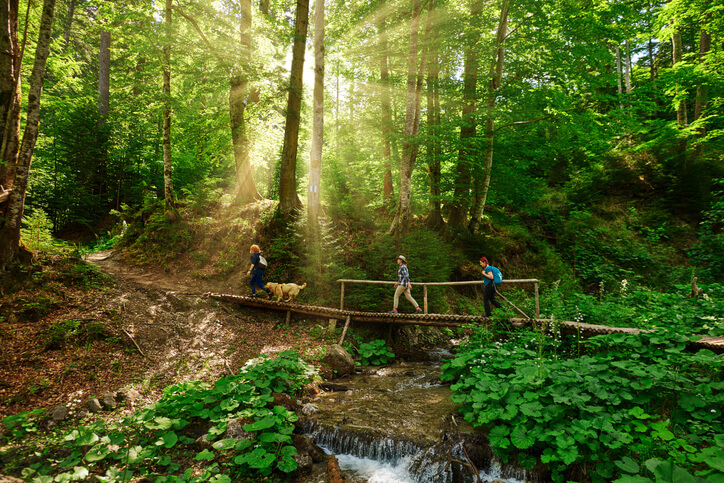 Be your mother’s personal hiking guide for the day. Pick her up early in the morning for a hearty pre-hike breakfast on the way to the trailhead. Take care of everything—the route, the gear, the water, the snacks, the first aid kit, and especially this time of year, the bug spray. Remember, this is her day; treat her like royalty. 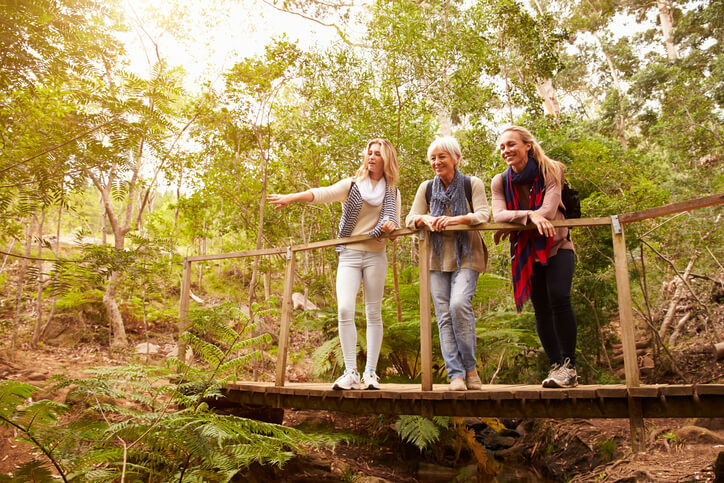 Don’t shy away from choosing a challenging hike if your mom’s up for it, but do your best to keep it fun! How About a Mother’s Day Picnic? Getting outside on Mother’s Day is a smart move, but what if she isn’t much of a hiker? If the weather holds out, a picnic at the local park surrounded by her family can make for an incredible day. 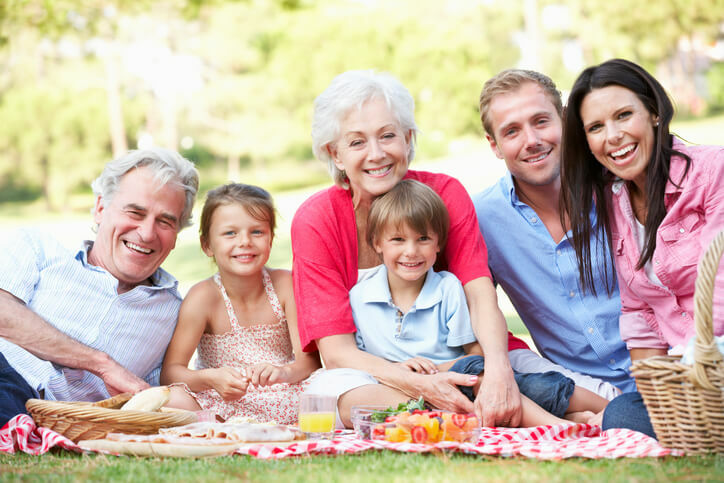 To help you plan your a Mother’s Day picnic, we wrote an article that will get you started. Once you decide on the location and basic format of your picnic, it’s up to you to tailor it to your mother to make it as special for her as possible. Does she have any favorite foods? You know, recipes her mother used to make or cuisine from countries she’s traveled to? Top it off with a box of truffles and you’re all set! Get creative and don’t forget to invite the whole family. For the mother who finds joy in giving back, planning a day of volunteer work could be one of the most meaningful gifts you could possibly give. Convince the rest of the family to join in and get involved? You’ll rise to superstar son or daughter status is no time! How exactly you choose to volunteer is entirely up to you and what you think your mom will enjoy doing. Volunteering could be as simple as cleaning up a stretch of a local stream or cleaning up trash in the neighborhood park. Getting outside and spending time together engaged in something meaningful is the point. Don’t hesitate to contact local organizations to find out where help is needed—there’s always something to do for willing volunteers! Whether your mother is an angler or not, she’ll enjoy the challenge of learning how to fish under the watchful eye of a professional guide. Plus, booking a trip for her means you get to go fishing, too! Trout fishing is in full swing this time of year in many parts of the country, and what better way to spend Mother’s Day than on a pristine river with your mom. Reputable fishing outfitters provide everything needed for a fun day on the water, including rod and tackle, waders and wading boots, and food and drinks along with all the instruction and guidance to catch the quarry! Mother’s Day Trip to the Zoo! Who doesn’t love a good trip to the zoo every once and awhile? There’s just something about seeing all the animals and strolling through the exhibits that brings out the child in us all. 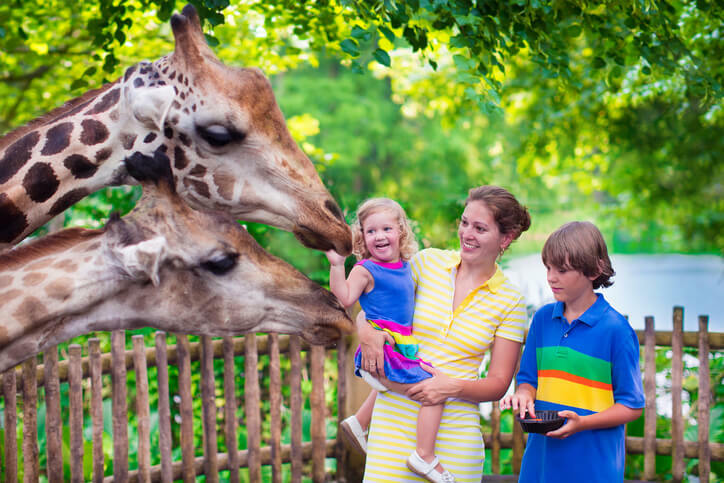 If you have young children in your family, a day at the zoo could be a great way for your mother to bond with her grandchildren over something everyone can relate to: awesome animals! 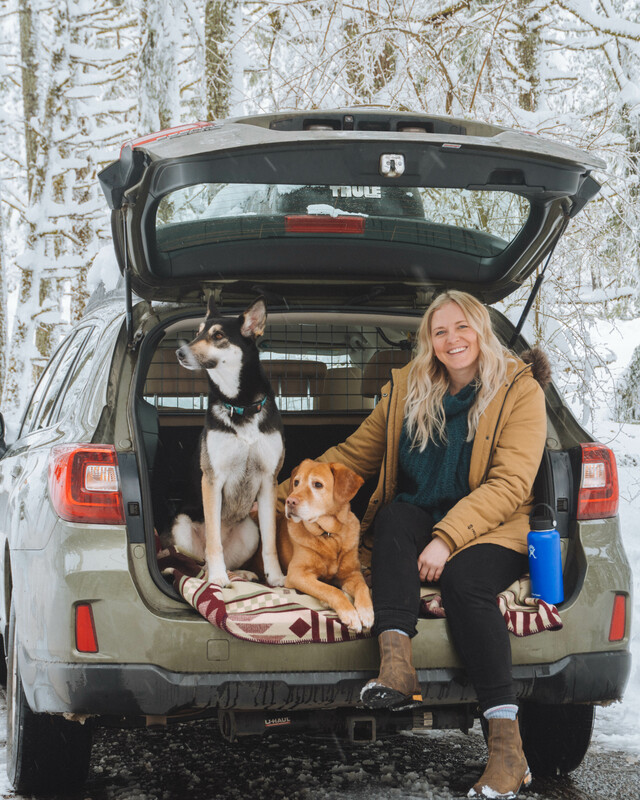 We highlighted some adventure-filled experiential gifts you can give your mom for Mother’s Day, but if she’s a dog lover and you’re set on giving her physical gift, we’ll leave you with a clever idea. Does your mom have a dog and wish she could take it everywhere with her? 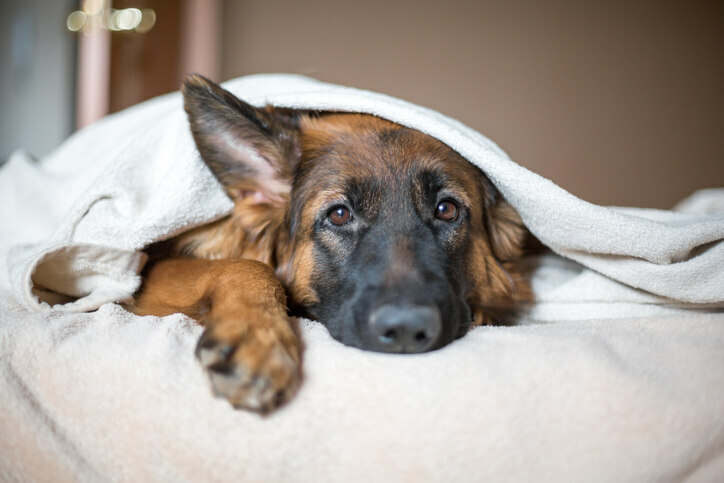 If so, check out the Travall Guard pet barrier. Forming a barrier over the backseat, our Guard prevents dogs — and cargo — from sailing forward upon a sudden stop. Simply put, it makes traveling with dogs less stressful. What mom doesn’t deserve that? No matter what experience you surprise your mom with or what gift you get her, we hope you enjoy the day to the fullest. Here’s to mom!